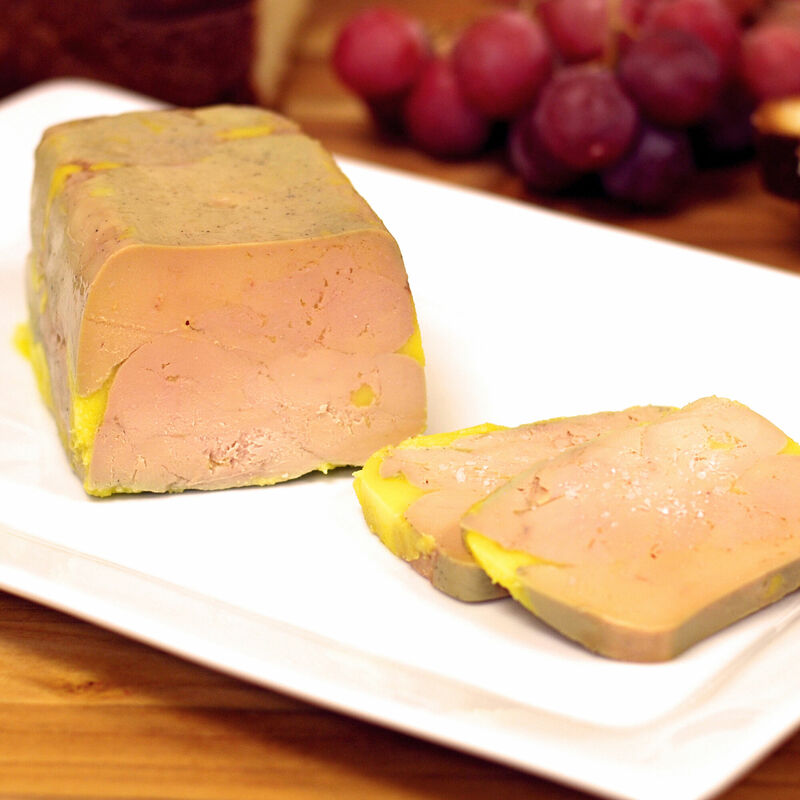 Foie gras terrine is fully-cooked and ready-to-eat. Our terrine is made of whole foie gras with only salt, pepper and sugar to accent the rich flavor. The result is an incredibly creamy, delicate bloc of foie gras, with a firm texture that can be easily sliced.